Your recurring monthly donation or one-time donation supports global Shambhala to promote peace, confidence in the basic goodness of humanity, and the means to share this confidence at Shambhala Centres and Groups around the world. Recurring monthly donations are highly encouraged as they give us a stable and reliable basis for planning our activities. Please consider a monthly donation in any amount – 10, 25, or 50 each month is an impactful way to support our financial situation. IN CANADA AND THE U.S., To start a monthly donation, please click on the above donate button for either Shambhala Canada or Shambhala U.S.A. Underneath “donation amount”, please check the box next to “I want to contribute this amount every month”. If you have any issues setting up a monthly donation, please contact John Shaw in the Shambhala Finance Office at jshaw.shambhala@gmail.com . You can also call John at +1 902-425-4275 ext. 115. OUTSIDE OF EUROPE, CANADA, AND THE U.S., please contact Development Director Faradee Rudy at faradee.rudy@shambhala.org and she will advise you on the best way to set up a recurring monthly donation. The Development Director is a good point of contact if you wish to make a bequest or a major gift to Shambhala. She will listen to your questions, and guide you to the best person or people to speak with about your wishes. You can click here for information about planned giving (leaving a bequest). 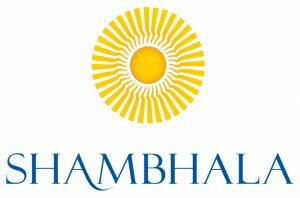 Members of Shambhala can log in to the members section to access Shambhala’s past financial statements, information about planned giving, bequests, & stock transfers as well as teachings on generosity. You may also wish to make a donation to support the work of the lineage and the Sakyong Potrang.